Dentist Sandy Springs: How Much do Veneers Cost? So how much do veneers really cost? The cost for porcelain veneers varies widely. They can run anywhere from $925 to $1,500 per tooth. There are several reasons for the difference in cost and it also varies widely across the United States. And yes, veneers can be quite expensive but they do offer several benefits. One of the benefits is a distinctly improved smile. 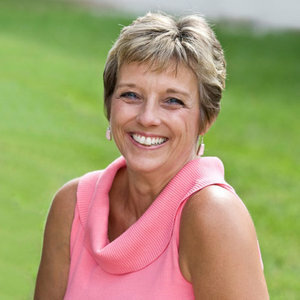 Dentist Dunwoody: How Much Do Teeth Cleanings Cost? So you got a mailer coupon from a dentist that says they only charge $49.95 for a regular cleaning & $19.95 for an exam & x-ray. Seems kind of a cheap gimmick? And a lot of the times it might be. If it’s a mature practice you might want to question why they are giving away services? Sadly, it’s usually a loss leader, something they use to get you in and pressure you into other dental procedures. If it’s a new practice, then providing discounted services is one of the few methods a new practice has to introduce itself to the surrounding community, no different than a new restaurant trying to showcase its menu. The genuine intent is to build a relationship by showcasing the practice. Dental costs will vary widely, depending on where you go and the quality of the practice you see. With respect to continuing care (on your next 6 month visit), a teeth cleaning is going to range somewhere around $65 to $89, but it can be more if there’s a need to do a full mouth root scaling. Often dental insurance will cover some or all of this cost for a specific number of cleanings per year. The exam is $45 to $55 and the 4 basic bite wing x-rays are around $59 to $72. Depending on your insurance this might be covered anywhere from 60 to 100% after a small deductible is met. Periodic X-rays ($32 -$135) are needed to see if any problems are developing inside the teeth or around the jaw bone, and are generally required before cleaning the teeth of a new patient (which is why some practices offer coupons to defray the initial cost of a first visit). These are also often covered by dental insurance. The more extensive deep cleaning process called scaling and root planing is done by quadrants (upper right, upper left, lower right, lower left) at a cost of about $100 -$400 per quadrant depending on the severity of the problem or $400 -$1,600 for the entire mouth, but more often than not, if the mouth is in such poor health the dentist will refer the patient out to a periodontist. 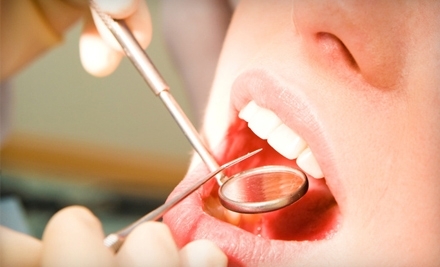 Most dental insurance includes these procedures. 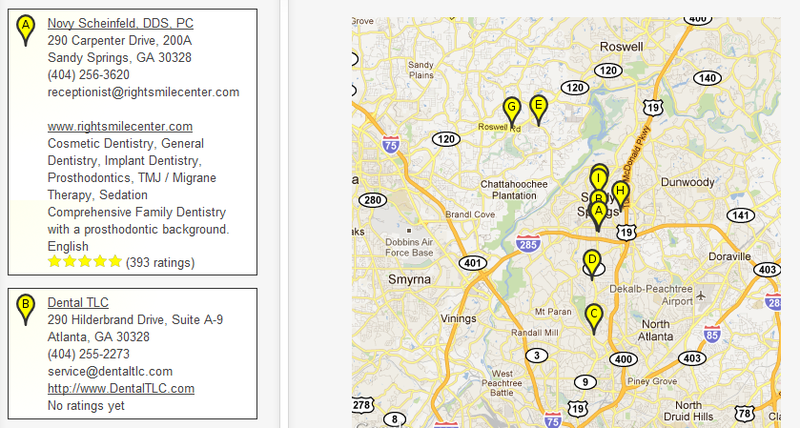 Dentist Sandy Springs: $19.95 for exam and x-ray? What’s the catch? We’re an oral health care provider, not a barber shop. We don’t engage in gimmicks to get you in. We don’t do high pressure sales techniques once ‘we get you in the chair’. To us your a patient that we care about, not a dollar sign. We don’t do coupons. So if you’re looking for trusted health care, call us. You don’t have to take our word for it, read our ratings and reviews by real patients. Go to www.rateadentist.com and type in our zipcode – 30328 for over 400 unedited reviews. Dentist Woodstock: How Much do Dental Crowns Cost? Dental crowns cost anywhere between $900.00 and $1500.00 each depending on the tooth to being restored. In addition, the cost will vary dep ending on materials, complexity and the dentist’s training and experience and to some degree the location of the practice. Insurance may pay part of a crown’s cost if it’s obviously needed for medical reasons, but usually crowns are covered only on a limited basis per year. Depending on the customers’ needs and wishes, partial and full crowns made of various materials may be utilized. Crowns are made of gold, porcelain, resin or porcelain-fused-to-non-precious-metal. 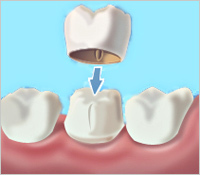 A tooth-shaped cap (the crown) covers the entire surface of a tooth, adding strength, durability and stability. This usually requires two office visits; first to prepare the tooth, make an impression and install a temporary crown. The impression is sent to a dental laboratory or manufactured in-house with the use of a CAD aided milling machine to create the permanent crown, which is installed during the second appointment. There’s often an initial office visit ($65-$102) and X-rays ($85-$135). One must not forget that there are additional costs that contribute to the overall price involved in crowns, aside from the material and type of crown chosen which are beyond the patient’s control. A large share of undervalued costs goes toward the treatment itself, lab and production costs for the crown, aftercare and the like. Dental care on a whole is often considered expensive, but with proper care a crown may last 10 or more years. Depending upon the general wear and tear a crown is exposed to and how well you keep your teeth free of plaque, it could last indefinitely. With somewhere between 10 and indefinitely, the investment becomes rather modest, if not inexpensive. If we can be of service or answer any of your questions please do not hesitate to give us a call. Expecting a baby is a very exciting time, and you’re already on the right path if you’re staying on top of your dental health. With the proper dental care measures, you’ll increase your chances of having a smoother pregnancy, full-term delivery and healthy baby. If you’re planning to get pregnant, consider having your teeth cleaned and any restorative dental treatment done first. If you are already pregnant, be sure to tell your dentist before getting any work done. You should also have a dental checkup at least once during the pregnancy. Although dental cleanings aren’t harmful, it’s recommended that expecting mothers get them done during the second trimester to reduce the risk of complications. According to the American Dental Association (ADA), it’s best to postpone dental work during the first and third trimesters as well, as these are critical periods for the baby’s development. Your dentist will let you know what dental treatments can be performed during the second trimester, but more complicated procedures will probably be postponed, if possible. Unnecessary treatments, such as cosmetic dental work, should be avoided altogether. If you do have an unexpected dental problem or emergency, make an appointment with your dentist as soon as you can. Your dentist will look for signs of infection and determine the need for treatment. Dental X-rays are usually avoided during pregnancy, but if photos are necessary, your dentist will take extra precautions to protect your baby. Just as dental health is connected to your overall health, dental care is important to the health of your unborn baby. It’s extremely important to take care of your teeth during pregnancy, as some dental problems can increase the risk of complications. The best advice is to make sure your dentist is part of your baby’s pre-natal care team from the beginning. If we can answer any questions or concerns please feel free to contact us. According to research presented at the American Academy of Periodontology conference in 2004, gum disease is linked to women who use infertility treatments. The study said women undergoing infertility treatment for more than three menstrual cycles experience increased inflammation and bleeding of the gums. These women also have increased levels of gingival crevicular fluid, which contains tissue breakdown products that may be markers for the progression of gum disease. The lead author Dr. Cenk M. Haytac, from Cukurova University in Adana, Turkey, postulates that these effects occur because these agents increase body levels of estrogen and the gums apparently are a target for estrogen since they contain estrogen receptors. Though not definitive, several studies have shown evidence that gum infections are associated with unsuccessful embryo development or the failure of in-vitro fertilization. Poor oral health is as bad for fertility as obesity – delaying conception by about two months says latest research. Experts at the annual meeting of the European Society of Human Reproduction and Embryology in Sweden were presented with evidence how women with gum disease took over seven months to conceive, compared to the usual five months. The researchers believe the underlying cause is inflammation. Unchecked, this can set off a chain of reactions capable of damaging the body’s normal workings. Professor Roger Hart advises women trying to get pregnant to get a check-up by their dentist along with other measures like stopping smoking and drinking, maintaining a healthy weight and taking folic acid supplements. UK fertility expert Dr. Allan Pacey said, “It’s common sense advice really to make sure you are in a healthy condition [including good oral health] if you want to try for a baby.” Around 10% of the population is believed to have severe periodontal disease. So if you are trying to get pregnant and are unsure of your oral health please see your dentist. Professor Roger Hart, of the University of Western Australia.